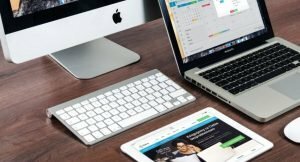 Printing Businesses – Thinking of Improving your Website? Read This First. After reading this blog, you will know the 10 most important elements of a printing successful website. Ideally your website should work for hard for your business 24/7, acting as a “digital” sales rep, drawing in prospects from search engine results pages and then delighting these prospects excellent, helpful information and crystal-clear photos on your website. Here is a summary of 10 key elements of an excellent printing website. Below we will discuss each element in detail. Yellow Ruler Marketing can project manage your website revamp or ongoing social media or prospecting project. Take the first step – book a free consultation today. While printing is often considered as a service, ultimately you deliver a product to your customers. What is the first thing they will do when their printed items are delivered? It is most likely they will rip off the wrapping and have a good look at the quality of the printing, making sure there are no scuff marks, “hickeys” or out of register items. Therefore, on your website, it is vital that you have lots of high resolution, professionally taken photographs of the products that you print on your website. Make sure that the photographs can be enlarged with a hover over button and that you include a good range of all the products that you produce. Include these photos in a gallery in your Products or Services page and regularly add new photos. If some of your printing has special finishes, you may need to include a short videos of these products as many finishes cannot be seen fully in a photograph. Your website should be helping your business be found by potential customers. 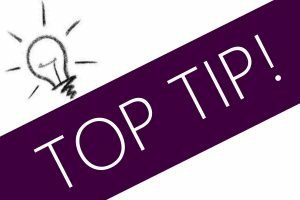 As you may already know, Search Engine Optimisation is basically a fancy word for the building of your website in such as way so that you will come up at the top of search engines pages (such as Google and Bing) when a potential customer searches for those words. Keywords are words that describe your products and services best. 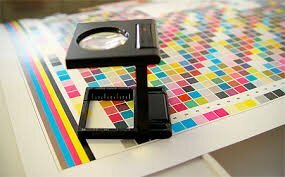 So for example, if you print high quality colour brochures and booklets, you need to ensure that the words “ high quality printed colour brochures” and “ high quality printed colour booklets” are included in the visible text on your website and also in the code that is in the “back end” your website. This can be quite an complicated sounding process but it doesn’t need to be. Simply, you need to make a list of all the important keywords that are relevant to your business and give them to your website developer, letting him/her know that these are the words for which you want your website to be found. As printing is often a local service, make sure your web developer includes your general location (nearest large town ,eg. Athlone, Trim etc) on the title and description tags in the code of your website. 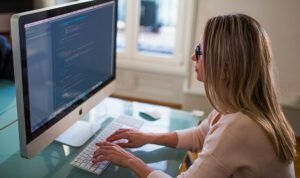 Title and Description tags are key parts of the code in your website. While you don’t need to get bogged in understanding these elements, you can read more about them here. It is also good to include variations on the keywords e.g. “saddle-stitched booklets”, “books with wire stitching”, and “layman’s” terms for your products, such as “brochure with staples” etc as not all potential customers will know the industry terms. Most printing customers don’t are how you print their leaflets, brochures, cartons as long as the quality you produce is top class. However excited you may be about your brand new folding/stitching/ 6 colour printing press, resist the temptation to add a long description of its technical capabilities. Wording such as “Our new combo heat press machine is a multipurpose swing-away heat press transfer printing. It is fully digital swing-away transfer printing boasts all of the digital features of the state-of-the-art control system.” will bore your prospect and drive them from your website. Instead, re-phrase this nformation in such a way that it shows prospects how they can benefit from your new machine. For example, you could re-phrase the baove as “the quality of your printing is carefully monitored by our staff, using manual and state-of-the-art digital features in our new press”. Search engines cannot read images or photos so it is really important that you provide your website developer with key words(known as “alternative text” or “alt text”) to describe the photos and images that are on your website. They will add this into the code of your website for each photo so that the Google search engine can now “understand” what is in each photo. For example, when you supply a high quality photo of a 4 colour 16 page saddle-stitched brochure to your website developer to your website, make sure to supply the “alt text” (in this case the alt text is “4 colour 16 page saddle-stitched brochure”) with each photo. If you are adding images or photos to your website yourself using WordPress, make sure to fill in the alt text when you upload the image or photo to your “media library” in WordPress. Therefore when a user searches for a product of which you have a photo of Google will know what this product is and will be able to bring up your website in response to the user’s query. What are pain points? Pain points are topics that customers often do not understand or struggle with. A good way to generate a list of pain points is think back over any problems or issues that have arisen in the past few years – especially those that were caused by a customers lack of understanding of the printing process. For example, many of your printing customers may not understand that a proof may not look exactly the same as the finished product because they are printed on different substrates. This may cause the customer to be disappointed when they see the final product especially if there proof was on a gloss material and their final product is on a matte material. Or perhaps your customers don’t fully understand how their artwork should be prepared and setup for your particular printing process. For example, if you print packaging, then your customer may not know that the artwork setup or packaging will not be the same as for general printing. You can create a blog post or a book giving guidelines for artwork preparation for your particular industry whether it is general print, direct mail, packaging or self adhesive labels. If you understand your customers most frequent pain points, you can create blog post or helpful ebooks that the customer can download from your website.Make sure any of your blog post or ebooks are written in a way that a person outside your industry could understand i.e. explain all industry terms throughout the eBook or blog no matter how simple they seem to be to you. When your website has no way to “capture” visitors contact details, then you won’t know that they have visited your website and have an interest in buying your product or services. It is the equivalent of a customer calling to a retail store after it has closed – the store owner will never know that that prospect has visited his shop. You can fix this by having items such as a newsletter sign-up option, Guides or eBooks and blogs. Hopefully users will see this useful content on your website and then proceed to download a eBook or guide. While GDPR regulations recommend that you avoid collecting email addresses unless it is necessary, you can present your content up in such a way that they may download an eBook without entering their contact details but then users can be asked if they would like to sign up for your email letter (which necessitates collecting their email address.) When they receive a regular a newsletter from you you can start to build up a high level of brand awareness and trust with this user as they reach your useful content every month or quarter or however frequently you wish to send you an eNewsletter. This is collectively known as content marketing and can work extremely well in nurturing new leads if it is done properly. Ensure that your website is fully responsive. This means that the page size will re adjust itself depending on the device on which it is being viewed. Google recently announced that they would penalise websites that are not responsive.By this they mean that these website will not appear near the top up search engine result pages.It is extremely difficult to be found if you are not at the top of page 1. It is advisable to use a large on size such as 16px and only used three different typefaces with slight variations in the size if required. Sans Serif typefaces such as Arial and Verdana are reported to be the easiest to read. Ensure your website has a logical flow. Avoid any temptation to make your website menu bar look widely different to the majority of websites that you view. The visitor to your website wants to find answers to his / her problem or query as fast as possible so make menu bar and pages in a simpler logical order. For example, it makes sense to always have the contact button as the last item on your menu as that is where people normally expect to find it. Stick to typical menu pages names such as home, products and services, about us etc because this will make it easier for your website user to find what they are looking for. This may sounds like a “no-brainer” but you need to check the load time of your website across the various devices such as PC, laptop, mobile and tablet especially if your website contains a lot of photos and videos. In these days are information overload, no user will wait more than a couple of seconds for a website to load. You can check the load speed of your website on https://developers.google.com/speed/pagespeed/insights/ and request that your website developer implements any changes it recommends where appropriate. When a user visits your website, they are clearly looking for a solution to a printing need or query that they have. However, users are increasingly savvy and will want to know if your website is a reliable source of information. There are dozens of printing websites that they can visit, all of which will claim to be the best in their field. Therefore, it is not enough to say, for example, “we are the best general printers in Leinster”, you must create credibility, trust and authority by showing on your website things that will create this. These things include customer testimonials with a proper individual name and company name at the bottom of the testimonial. No user will believe that a testimonial that is signed by “Joe, Cork City”. You need to ask real, satisfied customers for testimonials and permission to use it on your website along with their full name, company name and address. Also, if you have achieved any NSAI accreditations such as an ISO standard, make sure to include this on your website in a prominent place. The excellent content that you create should also be clearly visible on your website and this will show your website visitor that you are an authority in your industry. As a general rule of thumb, the four most visited website pages are the Home, Products and Services, About Us and Contact Us. It is worth spending time on carefully creating the text and content for these pages. Make sure that you are home page has all the relevant keywords about your business. Also, try to make your About Us page user-friendly and not “corporate” sounding. Avoid talking about your mission and beliefs. Tell people who the managing director is, how he/she got into the printing business, how long you have been founded, where you are situated, how many staff you have, how you have grown over recent years. Mention any local sponsorship or community involvement in which your business is involved. Include a few photos of relevant staff members and end your page with an invitation for the user (i.e. a Call to Action) to contact her company to discuss their needs. Ensure that your web developer installs a content management system on all pages of your website. WordPress is the most popular and one of the easiest to use. This will allow you to update your website with new blogs and add photos when you wish. This will look good when visitors view your website and see recent content. List all the things you dislike about current website. What sort of information would they be looking for? What would they want to know after they’re finished visiting your website? Would they understand all the terms that are used on your website pages? Would the photographs on your website give them a clear indication of the kind of printing, packaging or labels that you produce? What do you hope they will do when finished checking your website – email you for more information? call your business? download a guide? follow your social media pages? Record all this information and make sure to give it to your website developer. 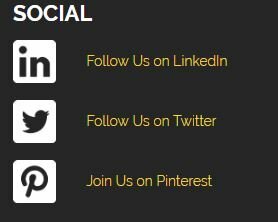 Yellow Ruler Marketing can project manage your website revamp or ongoing social media or prospecting project. Make progress with your website revamp – book a free consultation today. Receive short, pithy marketing tips direct to your inbox – once a month.